Well this is a first for me, I've been tagged in a blogger award! How amazing!!?!! I was tagged by the lovely Kate of With Love. 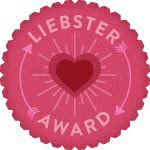 Its an award for bloggers with less than 200 followers so lesser known bloggers get some loving too! 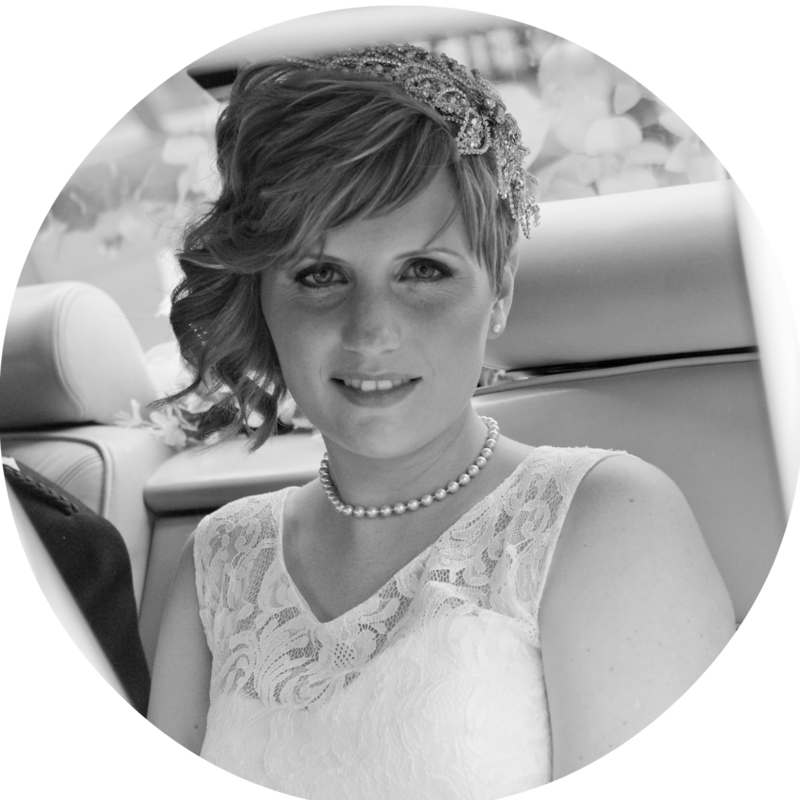 I'd never heard of it, or Katie' s blog until I was tagged and now I've found a lovely new blog to follow, it's working already! 2. I have a one year old black working labrador (although he doesn't work really!) called Jocasi Aldwyn (from Willow) or his usually name is Toby - as in Toblerone; Toby Lerone. 3. I also have a cat called Star - I have no idea why she is called Star, it's the name she came with from the rescue. 4. I have my ears pierced 3 times - I wanted them done again, but I'm a complete wuss and would need to have a body piercing needle now rather than the gun so I've stopped there. 9. I used to hate tea, until I went on a coffee detox, now I rarely drink coffee. I will always have loose leaf tea over a bag given the chance but it's not practical for my morning brew. 10. I'm an ex smoker. I quit smoking last New Year, at the same time I started losing weight. 11. I am a massive Harry Potter geek. I own first editions, special editions everything (including snitch necklace. I recently joined Pottermore and I am known as DawnSeeker234. 1. Whats your favourite piece of jewellery at the moment? 2. Favourite make up product? Eyeliner - I can often forget mascara, but my Mum taught my how to use eyeliner inside my eye when I was about 10 and I've found it a daily essential since I've been old enough to wear it daily! 3. What 3 things would you want with you if you were stranded on a desert island ? Oh rubbish - I hate this question. I sort of addressed this question in my post here but it will always be a book for me. 6. Going to festivals or watching from home? 7. Favourite type of posts to do? I don't really have a favourite type of post to do, but I do enjoy writing long chatty informal posts, as I think they represent me as a person more. Frighteningly I already have it, It's what I wanted to do since leaving school. I don't want management or anything as I enjoy the contact with people too much. 10. Where would you like to be in 5 years time? Still living in my house, although my garden would be perfect, I'd be married with maybe a little one on the way, oh and have all my debts paid off. 11. Busy city or quiet country side? Bit of both? Is that cheating? I live in a country village but it's not your typical sleepy village and has a bit of a nightlife and a 24 hour Tesco! 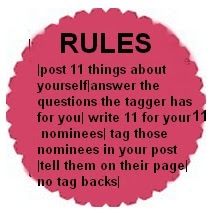 My 11 questions for my Nominees 1. What's been your best bargain purchase? 2. What's the reason behind your blog name? 3. What is your "go to" item in your wardrobe that looks great no matter how you're feeling? 6. Best memory of 2012 so far? 9. Favourite blog with less than 200 followers? 11. What's your main life goal? I hope you enjoy reading these blogs, and I look forward to seeing their answers! I'm a book person as well. You can't get that special feeling of turning the page on a kindle! This was about interesting insight! Mega excited to be nominated...will do my answers tonight!